Since its launch in mid-2013, the Chevrolet Silverado has been impressing Corry, Warren, Erie and Jamestown, NY arearesidents and the critics alike. So much so, that fans and critics alike have given the 2014 Silverado more awards than any other pickup truck in the industry. Both light- and heavy-duty models have taken no less than 14 awards for 2014, including the prestigious North American Truck of the Year Award presented by the North American International Auto Show. More importantly – and possibly even more impressive – is the amount of awards that were awarded to Silverado as a direct result of the interest and admiration of potential Corry, Warren, Erie and Jamestown, NY buyers. These include the Edmunds.com Most Popular Vehicle award, which is given to the vehicle in each segment whose research pages are visited the most by Edmunds.com visitors. Probably most impactful to Crotty Chevrolet Buick’s customers, and their wallets, is the various awards given to the Silverado for its low cost of ownership. Kelley Blue Book named the Silverado 1500 in the top ten vehicles in its Best Resale Value Awards across all segments, and the Silverado contributed to Vincentric naming Chevrolet the Best Value Truck Brand in America. Chevrolet MyLink, which provides powerful connectivity for work or family with simple, intuitive controls. 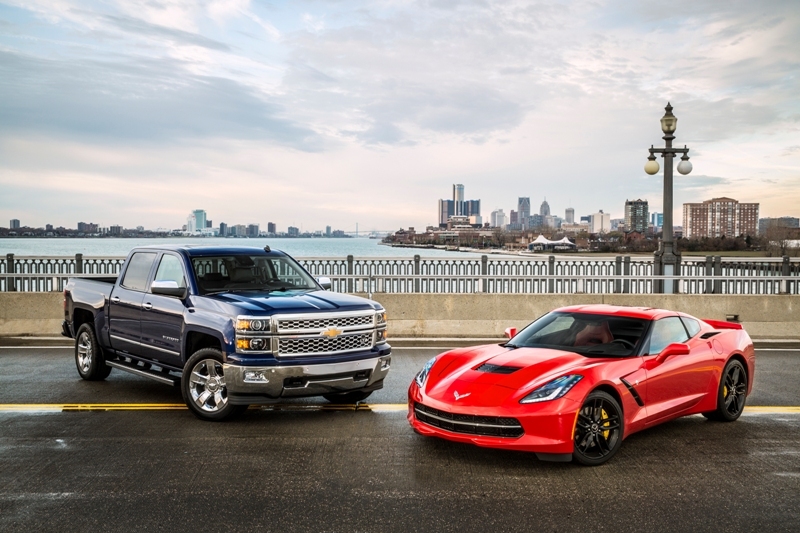 The all-new Chevrolet Corvette Stingray and Silverado 1500, now available at Crotty Chevrolet Buick are the 2014 North American Car and Truck of the Year. It is the first time Chevrolet has won both awards in the same year. The Silverado was last named Truck of the Year in 2007 and the Corvette was last named Car of the Year in 1998. Presentation of the North American Car and Truck of the Year awards open media days each year at the North American International Auto Show in Detroit. Forty-nine automotive journalists from the United States and Canada vote to recognize the most outstanding vehicles of the year based on factors including innovation, design, safety, handling, driver satisfaction and value for the dollar. The new Corvette Stingray is the most powerful standard model ever, with 455 horsepower and 460 lb-ft of torque from a 6.2L V-8 engine – and 460 horsepower /465 lb-ft with the available performance exhaust system – enabling models with the available Z51 Performance Package to sprint from 0-60 in 3.8 seconds. Silverado’s available 5.3L EcoTec3 V-8 generates 355 horsepower for confident towing and hauling, yet seamlessly switches to four cylinders to save fuel during light-load driving. With an EPA estimated highway fuel economy of up to 23 mpg, Silverado offers the best fuel economy of any V-8 pickup. “It is a distinct honor for the entire Chevrolet team to have both the Corvette and Silverado recognized with the prestigious North American Car and Truck of the Year Awards,” said Alan Batey, General Motors senior vice president, Global Chevrolet. Crotty Chevrolet Buick in Corry, PA since 1969 has been helping customers from Corry, Erie, Warren, Titusville, and Jamestown find the right new or used car at the price that works for them. We have provided our customers with a portfolio of fuel-efficient Chevrolet and Buick vehicles that feature spirited performance, expressive design, high quality, and value. All backed by our award winning service department. Learn more about our Chevrolet Cars, Trucks, and SUVs and the Luxury of a Buick Car or Crossover by visiting our website, blog or on our facebook page. The regular and double cab versions of the 2014 Chevrolet Silverado 1500, now available at Crotty Chevrolet Buick, have received the highest possible 5-star Overall Vehicle Score for safety as part of the National Highway Traffic Safety Administration’s New Car Assessment Program. Joining the previously tested 2014 crew cab models, which also received a 5-star overall score, all cab configurations of the Silverado 1500 series now have the highest possible Overall Vehicle Score. These models are the first pickup trucks to receive the 5-star NHTSA Overall Vehicle Score for safety since the implementation of more rigorous requirements for the 2011 model year. When it comes to pickup trucks, the usability of the back end is just as important as the power under the hood. Customer-focused innovations to the cargo box of the 2014 Chevrolet Silverado were designed to make it easier to see, secure and access what’s back there. LED Box Lights – Located in the cargo box, under the side rails, the available lights turn on with the standard overhead box lamp and make it easier to find cargo in the bed, even under a tonneau cover. EZ Lift & Lower Tailgate – An internal torsion bar reduces the effort to raise the tailgate while a rotary damper allows for a controlled and more gradual lowering motion when opening it. 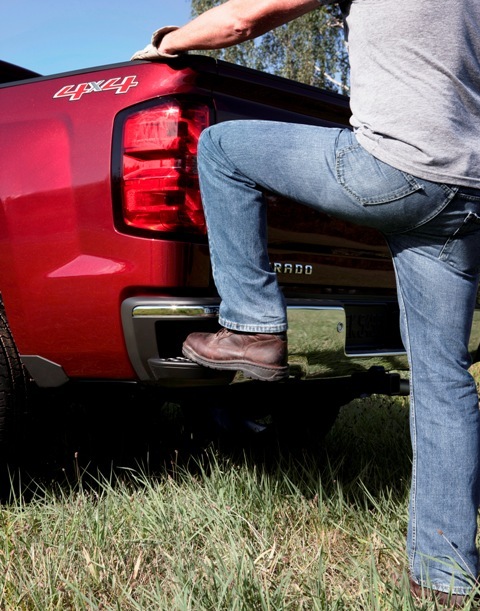 CornerStep Bumper – Unique steps incorporated into the corners of the rear bumper are designed to accommodate work boots and can be used with the tailgate up or down. Hand Grip Pockets – Located within the rails, at the rear of the cargo box, they provide easier access into the cargo box and work in tandem with the CornerStep Bumper. Removable Upper Tie-Down Hooks – Allow maximum flexibility to secure cargo of varying shapes and sizes and can be placed in several locations around the cargo box. “Every time we get into a new Silverado and fill the bed with payload, we’re reminded just how much thought their truck engineers put into, what we believe is, the most important part of a pickup – the bed,” said Williams. Like athletes who burn fat and build muscle to become more competitive, the 2014 Chevrolet Silverado 1500 strategically replaced traditional steel with lightweight, high-strength steel for improved capability, safety and fuel efficiency. High-strength and ultra-high-strength steels make the Silverado’s fully boxed frame and cab lighter and stronger, helping the truck deliver the best fuel economy of any V-8 pickup, up to 23 mpg highway for Corry, Warren, Erie and Jamestown-area drivers. It also has class-leading towing capability of up to 12,000 pounds when equipped with the available 6.2L V-8. Similarly, making the most of mass also enables the Silverado equipped with 4.3L V-6 to tow up to 7,600 pounds, the highest for any standard V-6 in the segment, with EPA highway fuel economy of up to 24 mpg. “For our customers, the use of lightweight materials like ultra-high-strength steel and aluminum means improves capability and efficiency for our customers, which is a win-win for everyone,” said John Crotty of Crotty Chevrolet Buick. Each of the shiny new Silverados at Crotty Chevrolet Buick benefited from 12.5 million miles of durability testing before the first Corry, Warren and Erie-area customer ever received the keys. From the scorching desert of Yuma, Ariz. to the sub-zero cold of Kapuskasing, Ontario, and the outdoor torture tests of General Motors’ Milford Proving Ground in Milford, Mich., the all-new full-size trucks completed more than 4 million miles of combined vehicle durability testing. In addition, a fleet of test vehicles racked up 8.2 million miles of real-world mileage. Validation and durability testing pushed the trucks to their limits before they went into production in Silao, Mexico, Flint, Mich., and Fort Wayne, Ind. In many of the tests, the trucks are loaded to gross vehicle weight. While most Corry, Warren and Erie-area customers do not drive fully loaded on a regular basis, these tests ensure the Silverado can withstand even the most demanding conditions. The trucks proved their mettle by traversing the Belgian blocks, splashing though the off-road-simulating grit trough, climbing and descending a 30 percent grade and driving at high speeds. Grit intrusion is a challenge for any Corry, Warren and Erie-area off road vehicle. The grit trough test ensures the trucks have enough sealing to protect bearings and key suspension points, while a trip along the dust road helps determine all seals are functioning properly and that dust does not contaminate the bearings or other moving parts. 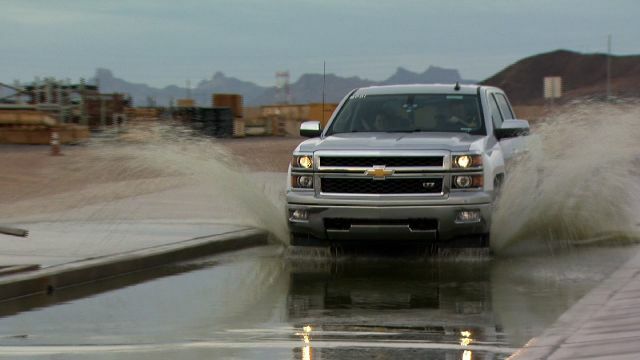 The 2014 Chevrolet Silverado has been designed to be the most corrosion resistant Chevrolet truck ever. The use of improved hem flange sealing on the doors and hood, and additional underbody flange sealing, help minimize deterioration over time. More than half of light-duty pick-up trucks on Corry, Erie, Warren and Jamestown, NY-area roads are now 11 years or older. 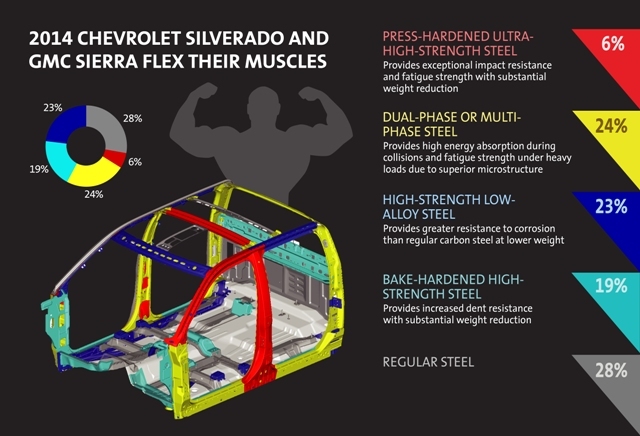 To help build on the Chevrolet Silverado’s reputation as the most dependable, longest lasting full-size pickup, engineers designed the 2014 Silverado to be the most corrosion resistant Chevrolet truck ever. The 2014 Silverado, now available at Crotty Chevrolet Buick, starts with zinc-coated (galvanized) steel for the roof and all body panels except the hood, which is made of an aluminum alloy that reduces weight and provides corrosion resistance. 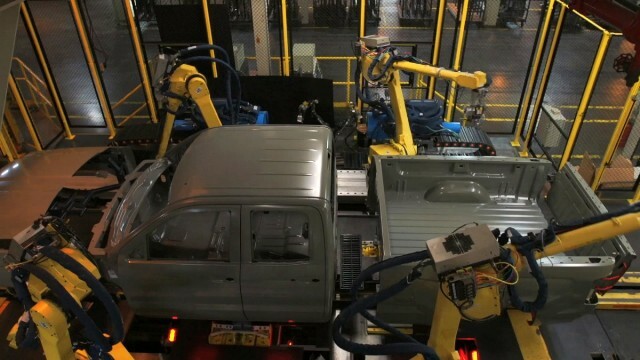 At every step of the design and manufacture of the new Silverado, materials and production processes were selected to help minimize deterioration over time. The effectiveness of these changes was borne out during extensive proving ground testing at exposure levels higher than most drivers ever experience. The months of accelerated testing these trucks undergo is equivalent to more than 10 years on the road. Post-test evaluations of the trucks, including the search for and elimination of corrosion even on areas of parts customers never see, helps ensure the overall vehicle performance. The 2014 Chevrolet Silverado 1500 is the first pickup truck to receive the highest possible five-star Overall Vehicle Score for safety since the National Highway Traffic Safety Administration changed its New Car Assessment Program for the 2011 model year. 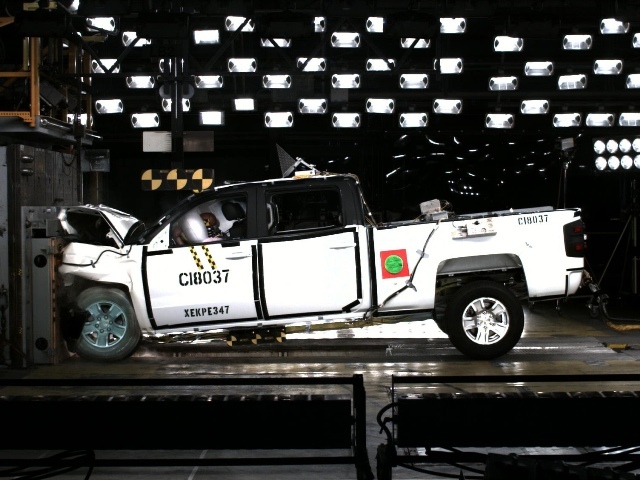 NHTSA only tested the crew cab models of Silverado. Chevrolet expects crew cab models to account for 60 percent of their 2014 light duty full-size pickup truck sales. Silverado offers a fully boxed frames, extensive use of high-strength steel, and several segment-exclusive safety features are available, including Forward Collision Alert, Lane Departure Warning, and Safety Alert Seat. Safety Alert Seat warns the driver of potential traffic danger using directional vibration pulses from the seat cushion. The patented warning approach is tied to all of the on-board crash avoidance systems. Forward collision alert technology helps prevent frontal crashes by alerting the driver when the truck is closing in on a vehicle ahead too quickly, giving him or her additional time to react and avoid a crash. Lane Departure Warning technology alerts the driver when the truck drifts over a lane line when traveling at least 35 mph. Rear Vision Camera with Dynamic Guidelines allows the driver, when in reverse, to view objects directly behind the vehicle via the radio screen in the center stack, allowing for easier parking and backing maneuvers. New, standard lap belt pretensions in the front-seat outboard safety belts. Six standard air bags and 360-degree sensor system, including dual-stage frontal air bags, head-curtain side-impact air bags with rollover protection, and seat-mounted side-impact air bags. Trailer-sway control that works with StabiliTrak to provide the driver with additional assistance when towing a trailer. When it senses trailer sway, it intervenes with braking and/or reduced engine power to bring the trailer under control. Four-wheel, four-channel, antilock disc brakes (ABS) that help provide straight, more controlled stops by preventing wheel lock-up in most road conditions. OnStar is available, using GPS and cellular phone technology to automatically call for help in the event of crash. OnStar service also includes MyLink mobile apps, which offer vehicle information and OnStar services via the customer’s smartphone. The all-new 2014 Chevrolet Silverado – now available at Crotty Chevrolet Buick – has been re-engineered to be stronger, smarter and more capable, making it the perfect pickup for hitting the road this summer. Crotty Chevrolet and Chevrolet knows that Corry, Warren, Erie and Jamestown, NY-area drivers taking road trips need more than just extra trunk space, which is why Silverado offers something for all passengers. No need to stop for directions. Drivers can stay on course with Chevrolet MyLink and OnStar. Simply choose a destination and an OnStar advisor will send turn-by-turn directions directly to the in-dash touch screen. Ditch the mixed CD. Energize your ride with a road-worthy playlist. The MyLink system includes Bluetooth for phone streaming and enough USB ports and outlets to support multiple devices, making it easier to enjoy your music on the road. Forget the days of the dead cell phone. Stay charged up with a new 110-volt outlet and cord management system which enables you to leave your cell phone charger plugged in for easy access when it’s needed and concealed when it’s not. Store snacks and water for the road. The front door panels have integrated pockets perfect for snacks, drink bottles, or travel guides. The rear panels also have room for a typical 20-ounce bottle. Spend less time stopping for gas. The redesigned 2014 Silverado is aerodynamically enhanced to reduce drag, giving drivers greater fuel efficiency on the highway. Stretch out. Passengers can enjoy plenty of legroom, even in the backseat. Thanks to new sculpted seatbacks, rear seat passengers enjoy about two inches more legroom and the ease of entering and exiting through wider rear crew cab doors. Sleep it off. Passengers can enjoy a quiet nap thanks to Silverado’s new inlaid doors. This new design, combined with triple door seals, helps to reduce wind noise and turbulence, quieting the interior of the cab. Secure travel necessities. With Silverado’s new Smart Pickup Box and four built-in cargo tie-down provisions, your items remain safe and secure on the road. The new CornerStep bumper and handholds also provide easier access to climb in the box for loading and unloading. Tow your boat, camper, trailer, and more. Silverado’s 5.3 L EcoTec3 V-8 and stronger chassis provide the durable towing capability, up to 11,500 pounds, that you need for hauling on long road trips. Be on the safe side. Travel companions stay safe with Silverado’s two available active safety technologies – forward collision alert and lane departure warning. These features, new to Silverado, warn you when you’re at risk of colliding with another vehicle or leaving the lane. Not even on the dealer lot for a day, the first 2014 Chevrolet Silverado was sold at Crotty Chevrolet Buick. 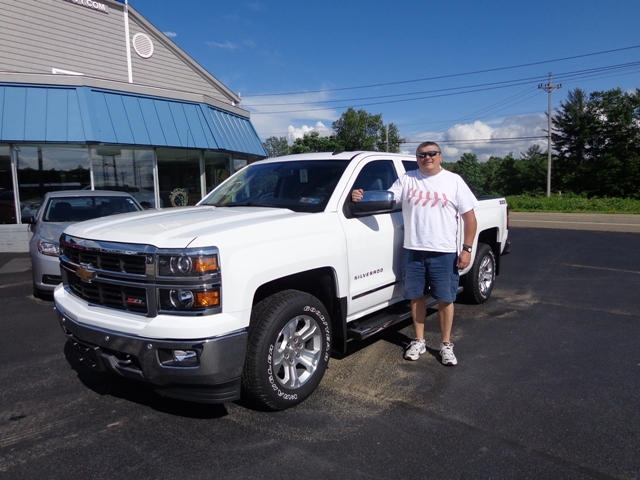 The new owner of the Silverado is Charlie Fargo of Corry, PA. The Silverado, now on sale at Crotty Chevrolet Buick, is new from hood to hitch. It is engineered to be stronger, smarter and more capable than ever before for Corry, Warren, Erie and Jamestown, NY-area drivers. 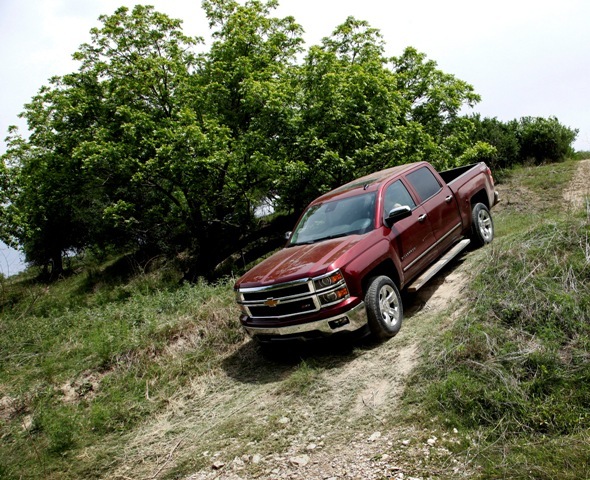 Seven models offer local-area customers many choices: The 2014 Silverado 1500 is available in seven distinct trim levels. Two work trucks are available, a 1WT and 2WT, with the 2WT adding features such as chrome bumpers, high-wear cloth seats and Chevrolet MyLink with a 4.2-inch color touch screen. Prices for the new 2014 Silverado regular cab will start at $24,585, including a $995 destination freight charge, the same base price as the 2013 model.